Crafted in beautiful blue leather, and a dramatic steam shaped natural walnut outer frame. The Madison is a definite feature enhancement to any room setting...bedrooms included. 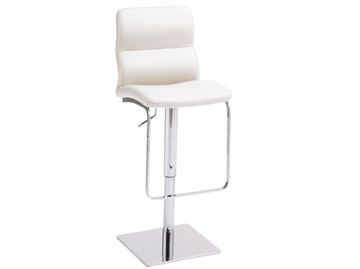 The Intel Barstool, made with white eco-leather and a stainless steel base. Intel barstools feature a convenient hydraulic height adjustable base. This allows any user to change the height to what's most comfortable. The sculpted back rest adds wonderful comfort to this unique design. Seat height adjusts up or down 10". 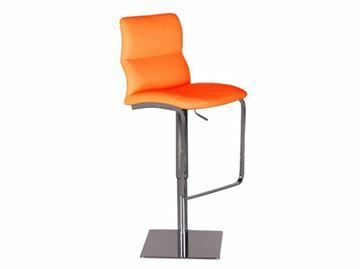 The Intel Barstool, made with tangerine eco-leather and a stainless steel base. 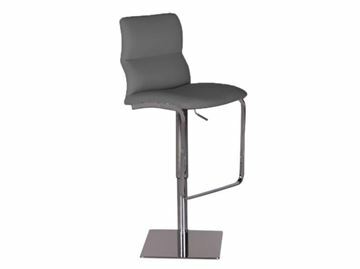 Intel barstools feature a convenient hydraulic height adjustable base. This allows any user to change the height to what's most comfortable. The sculpted back rest adds wonderful comfort to this unique design. Seat height adjusts up or down 10". The Intel Barstool, made with gray eco-leather and a stainless steel base. Intel barstools feature a convenient hydraulic height adjustable base. This allows any user to change the height to what's most comfortable. The sculpted back rest adds wonderful comfort to this unique design. Seat height adjusts up or down 10". The Intel Barstool, made with black eco-leather and a stainless steel base. Intel barstools feature a convenient hydraulic height adjustable base. This allows any user to change the height to what's most comfortable. 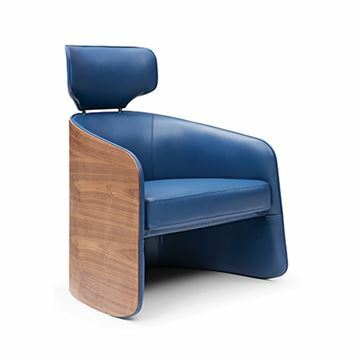 The sculpted back rest adds wonderful comfort to this unique design. Seat height adjusts up or down 10". 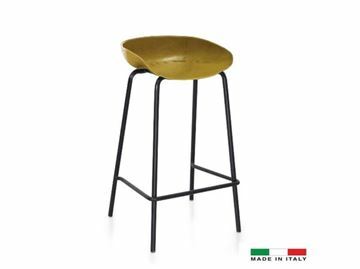 Ergonomically sculpted Buffalo Leather in a beautiful deep yellow finish and a sturdy black metal frame combine to make a wonderful low back bar stool. 100% Made in Italy. The low profile allows this design to stow away neatly at your kitchen counter. 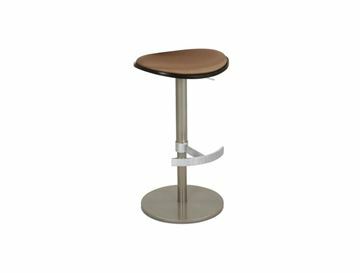 Ergonomically sculpted Buffalo Leather in a rich gray color and a sturdy black metal frame, combine to make a wonderful low back bar stool. 100% Made in Italy. The low profile allows this design to stow away neatly at your kitchen counter. 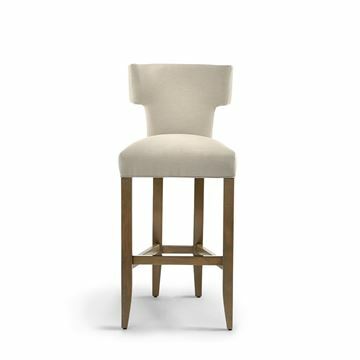 The Essex Barstool by Lazar features a gently supportive mid-height back, and a unique lumbar window back feature. Available in 24" counter seat, and 30" bar seat height. 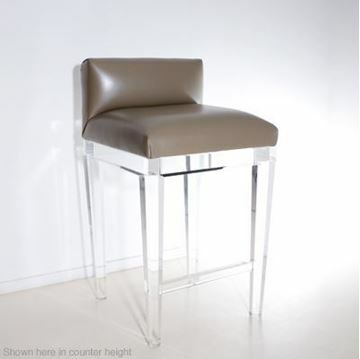 The Essex barstool features the convenience of a swivel feature, and is a very straightforward and balanced design with visually symmetrical lines. The plush seat and mid high back makes this design very comfortable to relax in. And available in a wide variety of fabrics, please see below for more details making sure to click on the Lazar Fabrics Tab to view all the available covers. 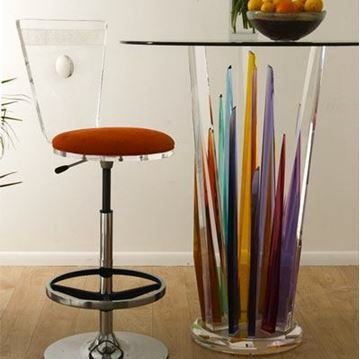 The H. Studio Reflex Barstool brings a touch of color and uniqueness to your beautiful kitchen or bar. It features a plush and comfortable seat, with the added convenience of a polished steel hydraulic adjustable height base. 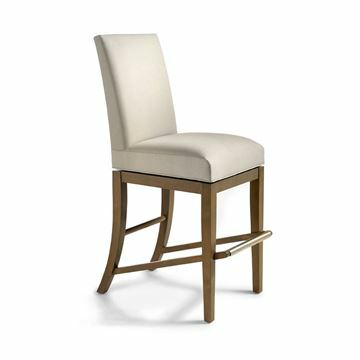 The high back design features a unique chiseled inlay and a polished concave orb on the outside area of the back rest. The Reflex is an elegant and truly unique design, available in several different fabrics and acrylic colors. 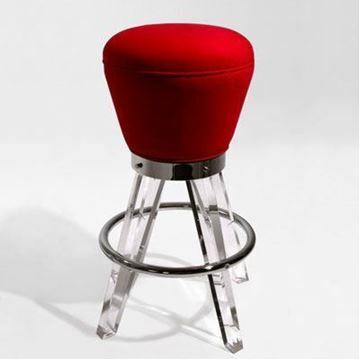 The H. Studio Gum Drop Barstool features a plush and comfortable seat. The backless design is a timeless classic, bringing a modern look to a soda bar classic. 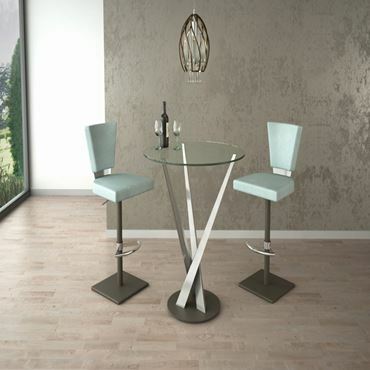 The Gum Drop is available in several different fabrics, and you can also specify the color of the acrylic legs. The H. Studio Malibu barstool. A low profile design. The plush seat cushion is available in many different covers. Can be made in counter height or bar height version. 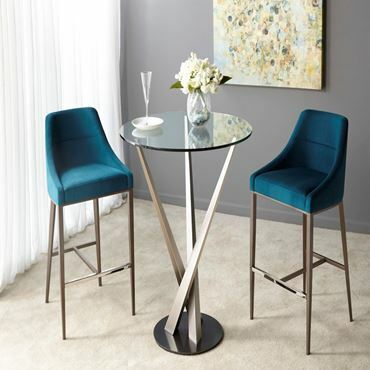 Sturdy and sleek, the Malibu Stool will be a stand-out at any bar or counter. 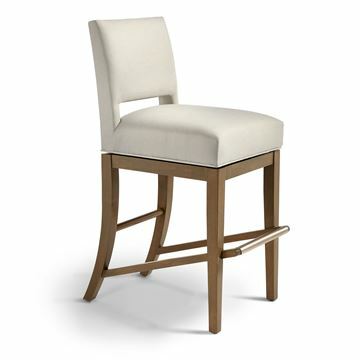 The Aventura Counter Stool by Lazar is the perfect compliment to any kitchen or entertainment area. The high back makes for comfortable seating support, made even better by the ergonomic wing back. Seat height is 26". Very comfortable to relax in. And available in a wide variety of fabrics. Please see below for more details, and be sure to click on Lazar Fabric Choices to view the actual fabric samples. The Currant Bar and Counter Stools by Greenington Fine Bamboo Furniture. Crafted in Black Walnut finish. 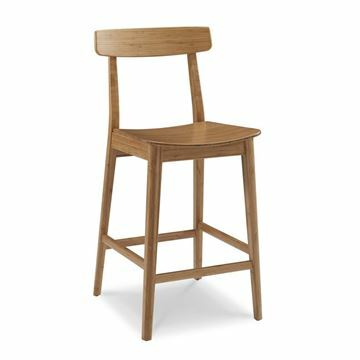 The Currant Barstool is a stylish small-space solution, bringing the simple elegance of Mid-Century design into the modern home. Sold per pair. The Currant Bar and Counter Stools by Greenington Fine Bamboo Furniture. Crafted in Caramelized finish. The Currant Barstool is a stylish small-space solution, bringing the simple elegance of Mid-Century design into the modern home. Sold per pair.